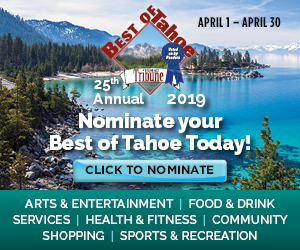 Incline is Tyler Knight, Cooper Lyons, Jackson Littleton, Bennett Welco, TT Valosek, Liam Nolan-Bowers, Paul Larson, Matthew Cornell, Emerson Fleming, Ian Smith, Parker Fontecchio, Brayden Hock, Johnny Redfern, Brad Rye, Jacob Leoncio and Brody Thralls. 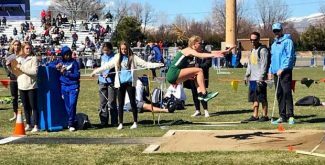 INCLINE VILLAGE, Nev. — The Highlanders were all smiles Tuesday night following a regular season-ending beatdown of rival Yerington. Players hugged and posed for photos with teammates and their families. For the seniors, it was their last time playing on their home floor and they went out with a bang. They were all celebrating Incline High School’s first boys’ basketball league championship in seven years. 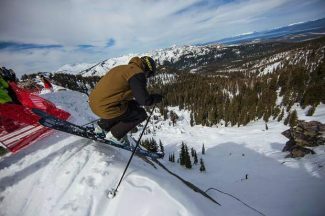 Avalanche warnings have been prevalent at Lake Tahoe the past couple of weeks and the Highlanders provided a landslide that swept up Yerington. It was senior night and Incline head coach Tim Kelly started five of his 10 seniors. One of those seniors, who typically doesn’t make much noise, got the Highlanders rolling. The Highlanders were ahead of the Lions 10-6 after the first period and 21-10 at halftime before running away and hiding in the third quarter. The Highlanders went on a 31-18 run to put the game away heading into the final eight minutes. Incline (21-6, 15-1 Northern League) won its final 10 games to forge a co-championship with West Wendover (21-4, 15-1 Northern). The Highlanders will be the No. 2 seed next week for the Nevada Interscholastic Activities Association Class 2A Northern League Basketball Championships. West Wendover earned the top seed due to point differential. The Wolverines defeated the Highlanders by six points (56-50) in their first meeting in eastern Nevada while Incline prevailed by three points (65-62) in their second meeting on the North Shore three weeks apart. 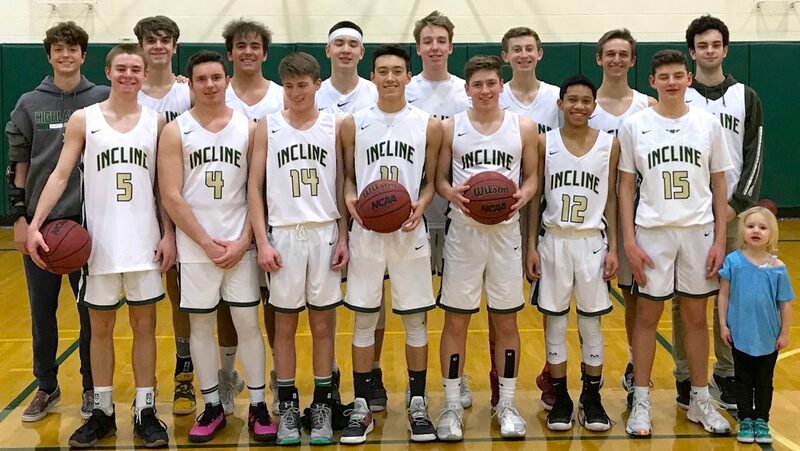 Incline is made up of 10 seniors (Smith, Nolan-Bowers, Johnny Redfern, Welco, Cooper Lyons, Jacob Leoncio, Jackson Littleton, Paul Larson, Parker Fontecchio and Matthew Cornell), three juniors (Tyler Knight, Brayden Hock and Emerson Fleming), one sophomore (Brad Rye) and two freshmen (TT Valosek and Brody Thralls). The Highlanders earned a first-round bye in the league tournament that begins Thursday, Feb. 21, at Sparks High School. 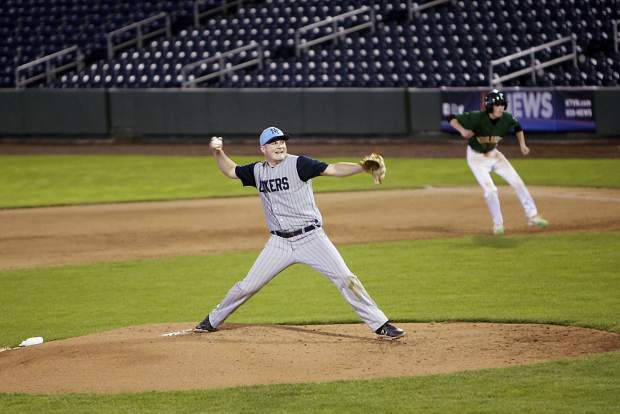 The Highlanders first game will be in the semifinals at 4 p.m. Friday against the winner between Yerington (12-4 Northern) and North Tahoe (6-9 Northern), Battle Mountain (6-10 Northern) or White Pine (6-10 Northern). The key for Incline is its defense. The Highlanders hang their hat on their defense and have allowed an average of 36 points per contest in 16 league games. Incline has allowed nearly 100 points less than the next best defensive team in the league, West Wendover (576-667). Aside from defense, Kelly says they also need to keep rebounding in the form that they have all season.